Wayne Bucklar: You're listening to Business Radio Talkers FM. My name is Wayne Bucklar and today I'm in conversation with Jay Gorasia, Technical Manager with BioAccsys Australia and I should give you a little heads up here for my pronunciation BioAccsys is pronounced bio-access but spelt b-i-o-a-c-c-s-y-s. If you're looking for the website, it’s www.bioaccsys.com.au. So a little heads-up there for you. Jay welcome to the program. Jay Gorasia: Thank you. Thank you very much, good to be on the show. Wayne: Now Jay, I've had a look at the BioAccsys Australia website and you say that what you do is time attendance and access control specialist. Can you take us through the services that you offer? Jay: Yes, sure thing. So we're a biometric, time attendance and access control business. We've been in business since 2004 and we are all Australian owned and operated. And we basically deal with anything to do with fingerprint technology, facial technology, and card base technology to track the attendance of employees within the business and then this gets fed through to our software where all the analysis takes over, where you will get your payroll reports all sorted out so that you can feed them into your third-party payroll software like MYOB, Zero, Reckon so and so forth. Wayne: Now I know this is it's not the sort of thing that people are going to want to roll it for a million dollars. What about things like molded fingers and plastic fingers and even dead fingers I see on television people using biometric access using body parts? Is that all feasible in real life? Jay: Definitely not. Because it requires a live finger and the fingerprint technology that is used to capture it, is very accurate using the optical sensors, so all that you see in movies, they're just movies. It cannot be replicated in real life and if I'm going to tell you it is so important to have your fingers chopped off and put it on a scanner I think you'll need more than just biometric scanning. Wayne: Yeah well it's certainly not my ideal employer, I have to admit. But all right, so my movie illusions are being dashed now. So what about the risk of this data being hacked, I mean does this mean people's fingerprints are at risk? Jay: What happens with our devices is that it doesn't actually capture the fingerprint image. What it does is it actually captures data points of where your fingerprint locations are and then this gets encrypted into a wiegand format and then goes through the data link to the software. So the entire process is encrypted, it's not actually having an actual fingerprint, image taken, it's all just computer language, all binary language. So it cannot be replicated, it cannot be hacked or anything like that. Wayne: Now Jay, I'm old enough to remember bundy clocks and punching in with time cards. In those days if you have a good friend you would do what I think is called buddy punching and while you were there you'd stick your card through for them and they could come in an hour later and they'd already punched on. This I guess has got to eliminate that altogether? Jay: Absolutely. And we've had all our clients come back to us and say they're spending two thousand eight hundred dollars per employee per year. 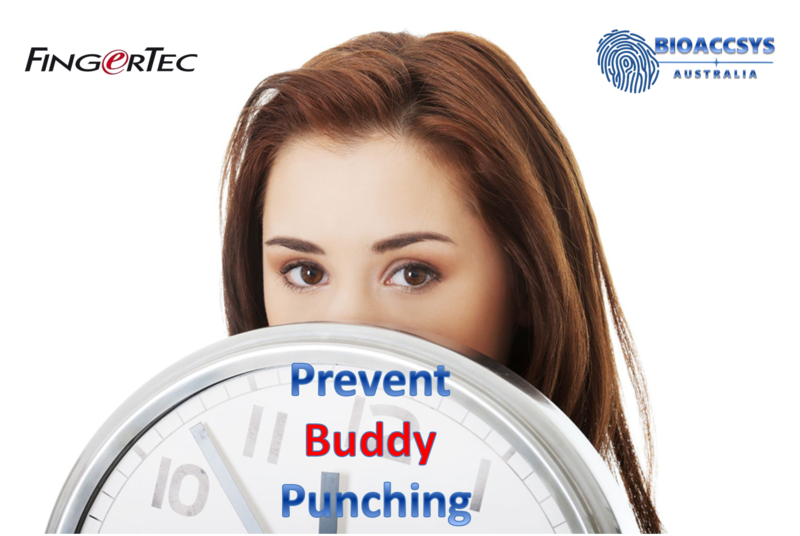 And that eliminates buddy punching, it limits time theft so you cannot even forge the time on the devices and it just creates a firm revenue boost for the company overall. Wayne: Now I know this is aimed primarily of employees starting and finishing work, but I noticed one of the illustrations you had your website was about child care, tell us how it fits into that scenario. Jay: Yeah, that's basically for childcare centers and it's basically using the same thing to keep track of all the child care employees not the actual children that are being put into the child care centers. Because we don't want to track the children, we just want to track the pay of the employees and they can be used either using the fingerprint technology or they can use our cloud-based system which has mobile phone technology where you install an app on your phone and it basically is a GPS location or where that person is going to be, when it's taking the attendance. So it's not exactly for children, it's just for the employees working in the childcare center. Wayne: That's a pity because I thought it would be an excellent way for tracking who was in the childcare center and who had left. Jay: Oh it can be used 100% but it really depends on the consent of the parent if they want that to be tracked. So it can be used for sure, but yeah we mainly use it for employees. Wayne: Jay, for the give us an idea for small businesses. Is this viable in a small business or is this only a solution where the cost is prohibitive? Jay: Absolutely not. 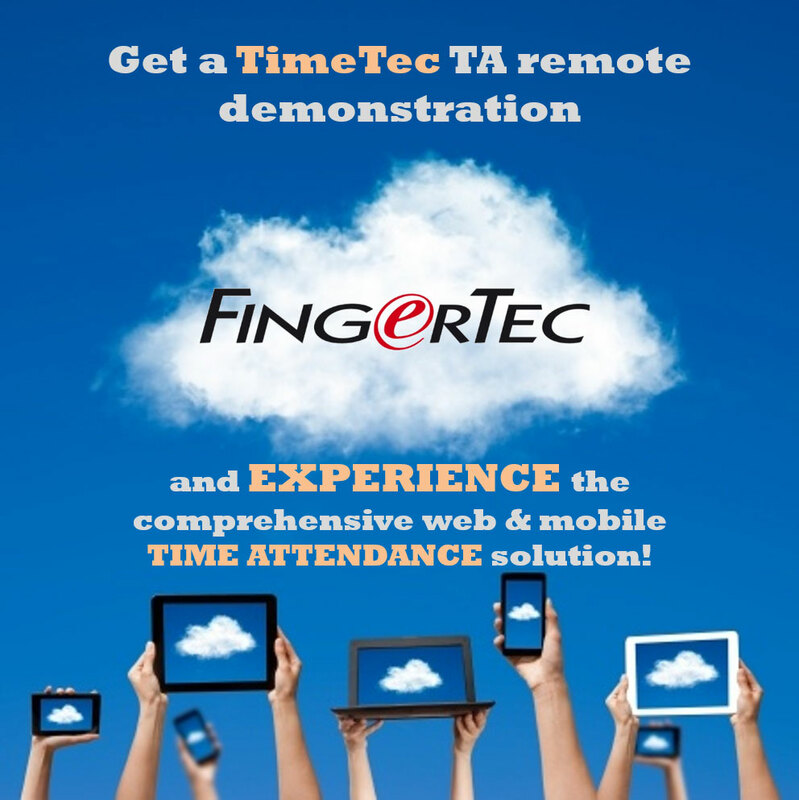 It's a perfect for small businesses, we have a free time attendance solution. So if you have a small business with less than ten staff members, you can actually use our system free of charge. We don't charge anything. You don't actually have to buy a fingerprint device, you can just use the mobile phone app and this is perfect for tradies who are on the go and they want to keep track of their time but they're working in a location and then they can just clock in. They'll capture a GPS location from their mobile phone app and then once they leave, they can just clock out using the mobile phone app and they have all the figures available in the cloud-based server and it's absolutely fit for up to ten employees. Wayne: And for tradies and people like that who are billing and billing on the go, that would be a very accurate way to keep records not just for billing but I guess for tax purposes as well. Jay: Absolutely. You can keep track at travels this way as well and it's just a perfect all-rounder. Wayne: It does sound like it. Jay I'm sure that we've got some people interested today who have maybe not considered it before. This would be a replacement completely for the old bundy clock system. And also it sounds like for both tax and the invoicing purposes for a lot of record-keeping and other matters as well. Jay: Absolutely. It's an all-rounder, it just saves a lot of time. We've had a lot of installations recently where they come back to us and told us that it does not only save time but it's given more accurate results. And they're realizing that they're saving a lot of money for matters that they were spending before. So yes, it's been a real cost saver and I highly recommended it. Wayne: I'm in conversation with Jay Gorasia. Jay is the Technical Manager with bioaccsys.com.au who do as the name suggests - provide time management systems that are biometrically focused and they are a time and attendance and access control specialist. Jay it’s been a pleasure having chat with you today. Thank you for making time available for us. Jay: Absolutely. Thank you so much for the opportunity to speak with you and your guests. Wayne: You're very welcome. Now for people who are interested to get in touch with you, is the website the best place to do that? Jay: Absolutely. We have a contact form over there, they can just put in their inquiries or if they have any support inquiries, they can call to reach out to us. And if they want to have a free demonstration, we will provide remote demonstrations across Australia. So it doesn't matter where you are, if you want a demonstration on our software we can definitely give it to you. Wayne: That's a good offer. And that website again is www.bioaccsys.com.au. If you just joined my conversation with Jay from BioAccsys then you've missed it because we've finished chatting now. But the good news is, on our website we have a transcript, we also have an audio archive on SoundCloud and on iTunes. And you can access that through the talkers.fm website as well. My name is Wayne Bucklar, you're listening to Business Radio Talkers.FM.